Julius Washington is a EXOS Fitness Specialist, NASM Certified Personal Trainer, NASM Corrective Exercise Specialist, and a NASM Weight Loss Specialist. He began his passion of bodybuilding/Health & Fitness in 2000. Around this time he was 21 years of age, 300lbs, and in the worst shape of his life. He started working out with a high school friend in the summer of 2000 and has been involved in fitness ever since. 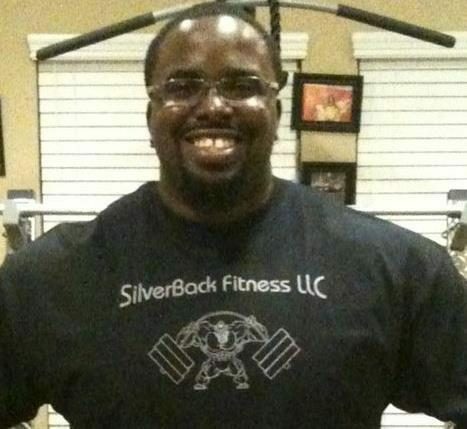 Julius attended the Professional Fitness Trainer Program at Allied Health Careers in Austin, TX in 2009, and immediately after graduating the program he started SilverBack Fitness LLC. He truly believes that helping people to transform their health, which leads to an improved lifestyle is his “Calling”. Julius will continue to help as many people as he can to become more functional and active in their daily lives, by providing high quality fitness and nutrition coaching. Alway focus on being patient and consistent.